Google Assistant Won't Open Anything! Is it you, the program, or your virtual assistant? Google Assistant is a useful tool that allows you to search the web, make appointments, set alarms, launch apps, and perform other functions on your phone with your voice. When Google Assistant won't open anything, it can lead to big headaches, especially if you're trying to use your phone in hands-free mode or with Android Auto. 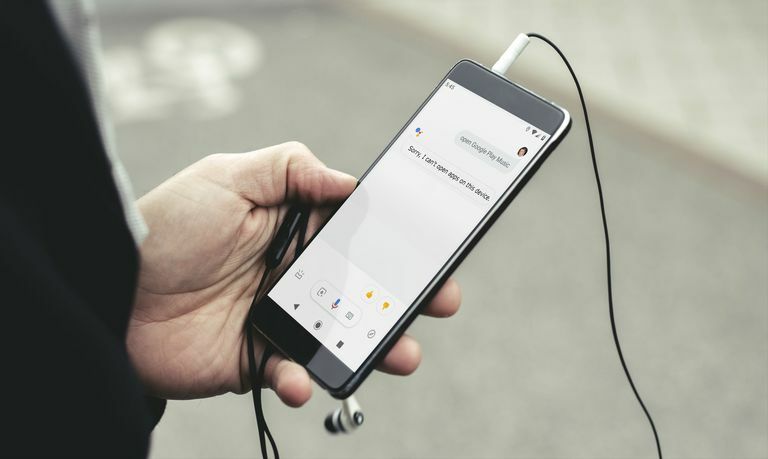 When Google Assistant refuses to open anything, it's usually related to issues with the Google app or smart lock feature, but there could also be a problem with compatibility, your internet connection, or even your microphone. "Sorry, I can't open apps on this device." In other cases, Google Assistant won't respond at all, or you will see the Google Assistant dot icons move for a while, but the requested app won't open. Before you do anything else, it's important to make sure that your device is capable of running Google Assistant. If it isn't, Google Assistant won't be able to perform any tasks on your phone. Google Assistant supports a lot of languages, including Chinese (Traditional), Danish, Dutch, English, French, German, Hindi, Indonesian, Italian, Japanese, Korean, Norwegian, Polish, Portuguese (Brazil), Russian, Spanish, Swedish, and Thai, and Turkish. Do Any Google Assistant Commands Work? If you aren't sure what command to try, here's a list of Google Assistant commands. Try using a command that can be executed entirely within the Google app, like a search request. If the command works, and you see a list of search results, that means Google Assistant is working in some capacity. If you don't see any search results, that means you have a problem with Google Assistant not working at all, not just a problem with it refusing to open anything. When Google Assistant refuses to open anything, it's usually because of problems with the Google app. Rebooting your phone sometimes does the trick, but there are several other things that you'll want to check as well. Reboot your phone. Before you try anything more complicated, try rebooting your phone. It's a simple fix that works a lot of the time. After your phone has finished rebooting, try using Google Assistant again. Check your internet connectivity. Google Assistant relies on an internet connection to process your commands. Make sure that you have a reliable data connection, or connect your phone to Wi-Fi, and try using Google Assistant again. If Google Assistant works for commands like web searches, but won't open anything, it probably isn't due to a problem with your internet connection. Make sure Google Assistant can hear you. If Google Assistant doesn't respond at all, it may not be able to hear you. Try moving to a quiet area if you're in a loud place. If you're already in a quiet area, check your phone's microphone to make sure it isn't obstructed by dust or other debris. Google Assistant accepts several different commands that all cause it to open an app. If saying "open Gmail" doesn't work, try saying "launch Gmail" or "play Gmail." If Google Assistant works with one command, and not with others, retraining the voice model may help. Open the Google app, then navigate to More > Settings > Voice > Voice Match > Retrain voice model. Then tap More, and say the indicated phrases clearly into your phone's microphone. Clear the Google app cache. Corrupt local data is one of the most common causes of Google Assistant refusing to open anything. To take care of this problem, you'll have to clear the cache of your Google app. Open Settings > Apps & notifications. Then tap Google > Storage > Clear Cache. If Google Assistant still won't open anything, move on to the next step. Clear all Google app local data. In some cases, clearing the Google app cache isn't enough. The next step is to clear all of the locally stored data, which includes things like your search history and feed settings. Open Settings > Apps & notifications > Google > Storage > Clear Storage. Then tap CLEAR ALL DATA > OK. Roll back the Google app. The last thing you can try with the Google app is to uninstall updates to the app and then reinstall the app. Open Settings > Apps & notifications > Google > the ⋮ (three vertical dots) menu icon > Uninstall updates. If Google Assistant works, don't update the Google app until Google issues a fix. If it doesn't work, then try updating the app. You can download the Google app directly from Google Play. This option isn't available in all versions of Android. If you don't see the option to uninstall updates for the Google app, you won't be able to try this method. If Google Assistant still won't open anything but works with limited commands like web searches, the problem might be your phone's smart lock. When Google Assistant only works with particular commands, like performing web searches, it's usually related to problems with the Google app. If you've ruled that out, then the final thing you should try is disabling the Smart Lock feature. Smart Lock is a feature that is designed to prevent your phone from locking or unlock it automatically, under specific conditions. For instance, you can use Smart Lock to automatically unlock your phone if it recognizes your face or voice, or prevent it from locking as long as it's close to a device like a smartwatch. In some rare cases, Smart Lock can allow Google Assistant to perform some tasks, like searching the web, but prevent it from opening apps, making appointments, setting alarms, and other more advanced functions. Tap Security & location > Smart Lock. Turn off on-body detection, and remove all of the trusted devices, places, faces, and voice match voices. Reboot your phone, and check to see if Google Assistant will open apps. If Google Assistant works, either leave Smart Lock off or add each method back one at a time, starting with voice match. You might be able to use smart lock in a limited fashion, or you might have to leave it off altogether to use Google Assistant. If Google Assistant still doesn't work, even with all smart lock features disabled, you'll have to wait for Google to release a fix for the bug that's causing issues on your phone. Contact Google Assistant support for additional assistance, to report your problem, and to check if any more specific fixes are already available.